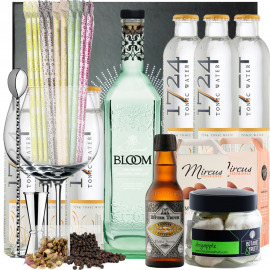 In this kit we find, in addition to the Scottish gin, made by the famous Bruichladdich distillery, located on the island of Islay, The Botanist 1L 46% vol . 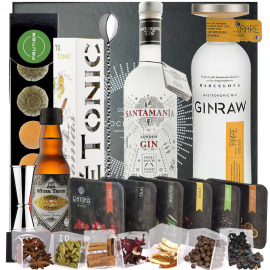 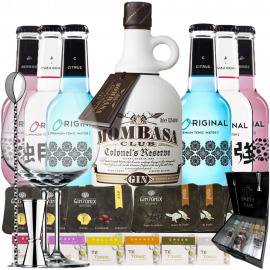 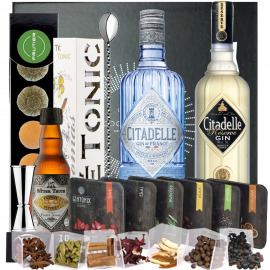 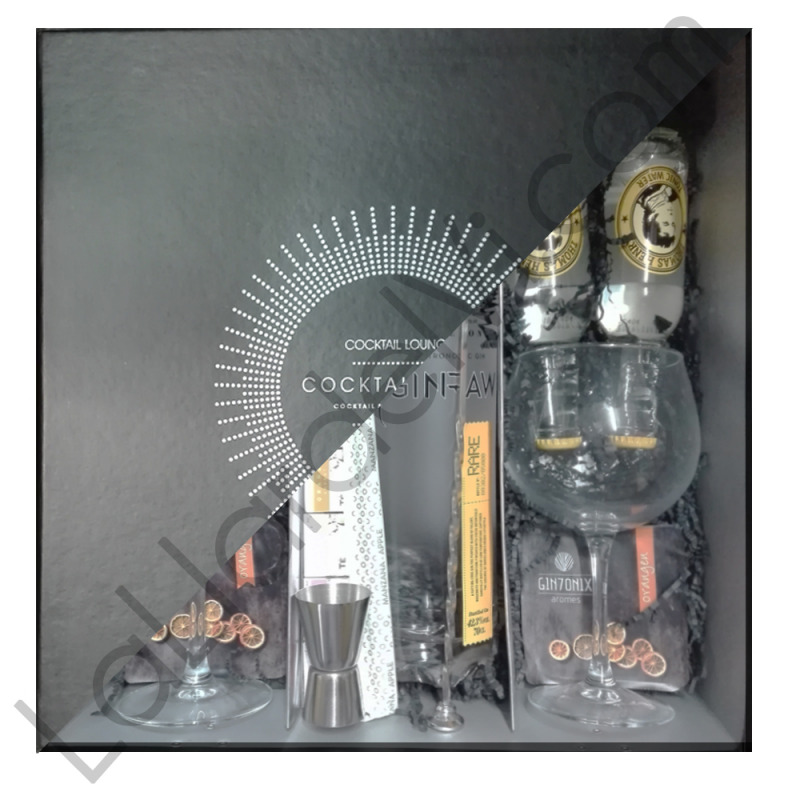 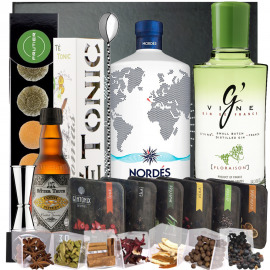 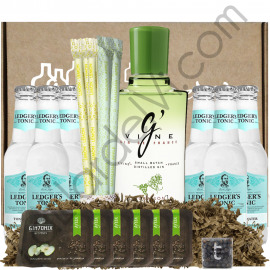 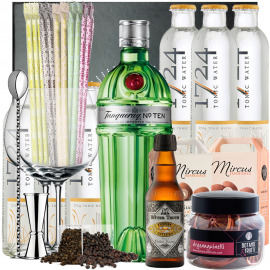 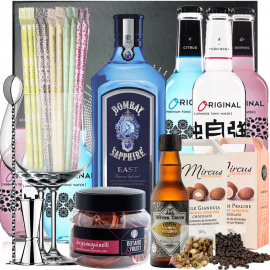 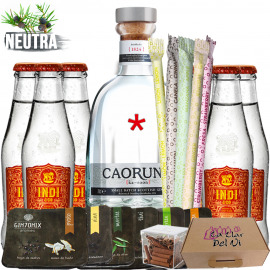 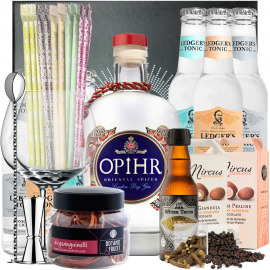 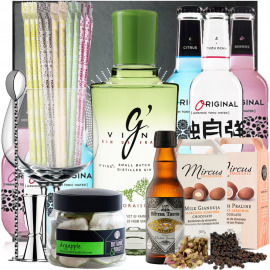 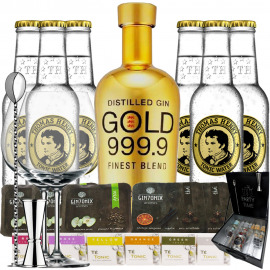 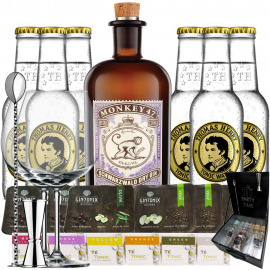 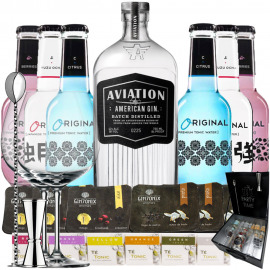 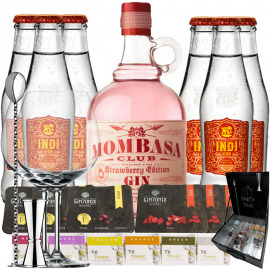 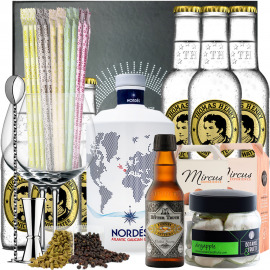 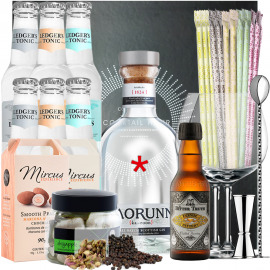 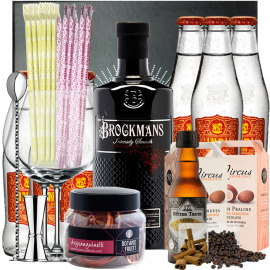 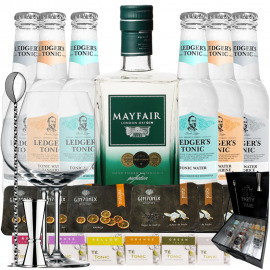 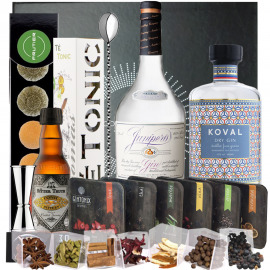 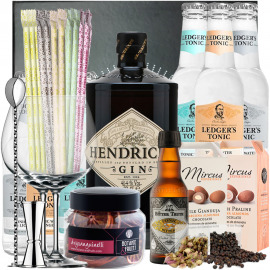 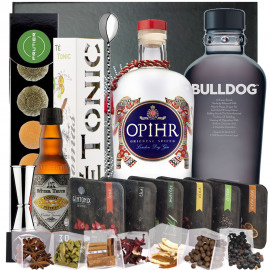 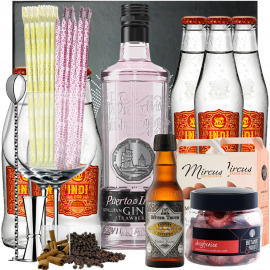 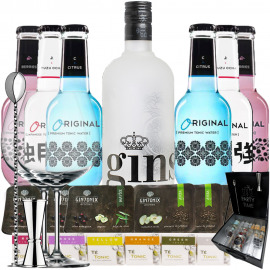 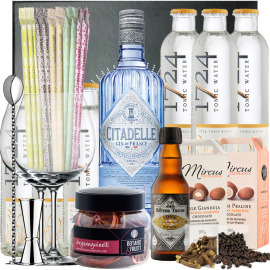 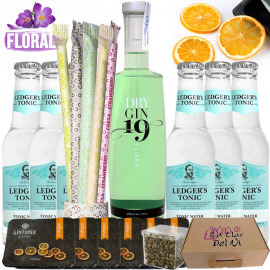 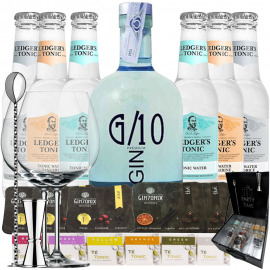 ; Six Fever Tree tonic, six infusions for Gin & Tonic, six single-dose trays, three with dehydrated orange and three with buddha and juniper hand, two cups, measuring cup, braided spoon and box. 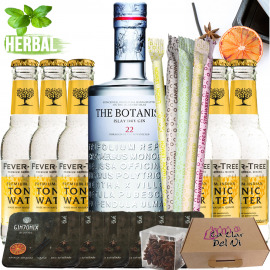 One The Botanist 1l 46% vol. 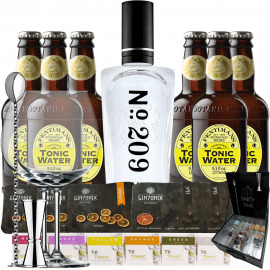 Six Fever Tree 20cl tonics, a tonic made from hand-squeezed Tanzanian orange oils, cane sugar, spring water and natural quinine from the chinchona tree of Congo and Rwanda. 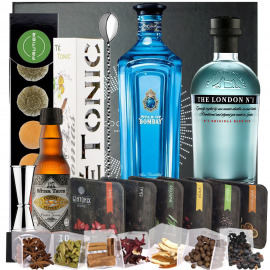 Six single-dose trays with dehydrated fruit and botanicals; Three with dehydrated orange and three with buddha and juniper hand. 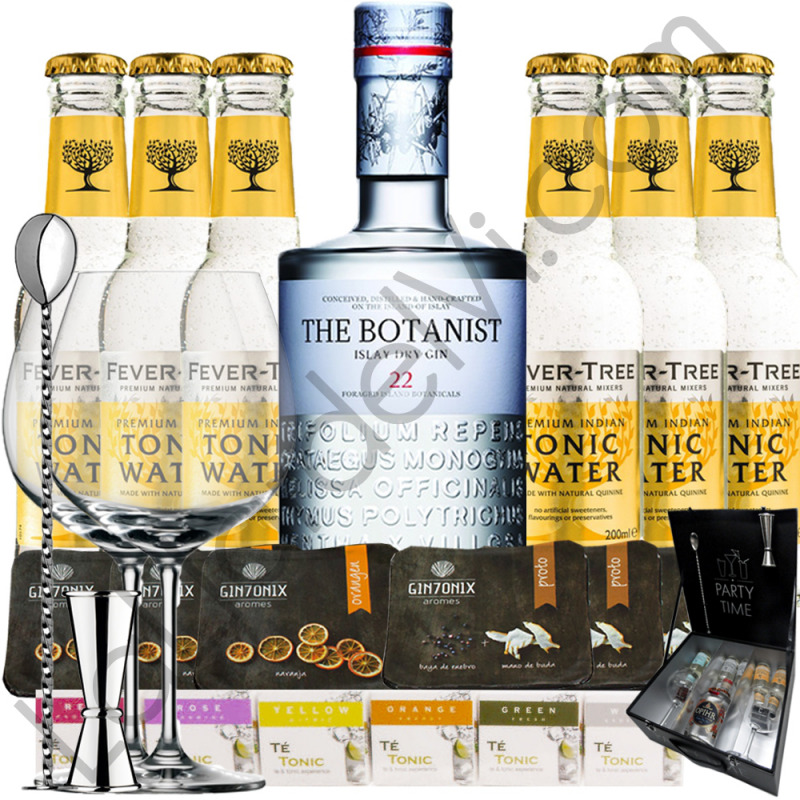 The Botanist Islay Dry Gin is made on the island of Islay, specifically in the famous Bruichladdich distillery where light and fruity whiskeys are produced to the world's smoked and smoked whiskey, Octomore The gin uses 31 botanists among which there are 22 that are collected on the island itself in a sustainable manner. The gin The botanist uses the classic flavors of gin such as lily root, cassia and coriander seeds fortified with 22 local botanists hand picked by the expert harvesters on the island of Islay. 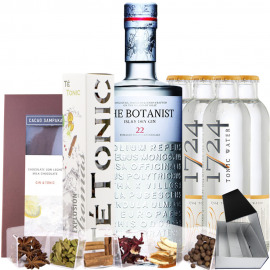 These seasonal botanists are distilled in a Lomond still, christened by The Botanist's master distiller as "Ugly Betty" or "Ugly Betty". 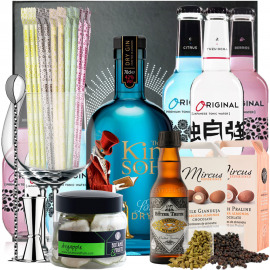 Ugly Betty works from optimum form at low pressure and without haste. 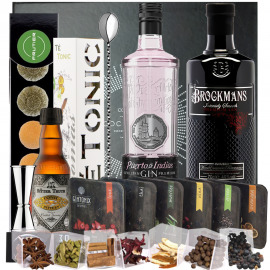 So all botanists slowly and gently release their aromas, thanks to working at low pressure and slowly, taking the process up to three times longer than usual. 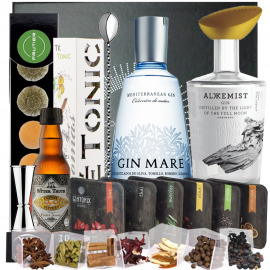 This gin The Botanist uses 31 different botanicals, 22 of which are collected on the island of Islay in a sustainable way: mint, chamomile, thistle, birch, elderberry, gorse, hawthorn, heather, juniper, sanjuanera, lemon, thistle borriquero, artemisa, red clover, mint, oloroso chervil, barbante, lombriguera herb, aquatic mint, white clover, wild thyme and wise.